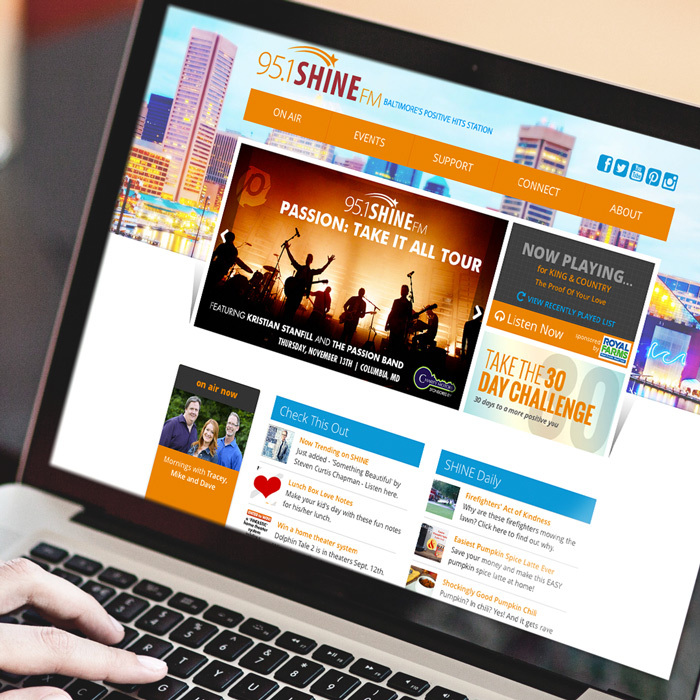 As the leading contemporary Christian radio station in Baltimore, MD, 95.1 SHINE FM provides quality programming that's always encouraging, positive, and makes listeners' lives a little better. 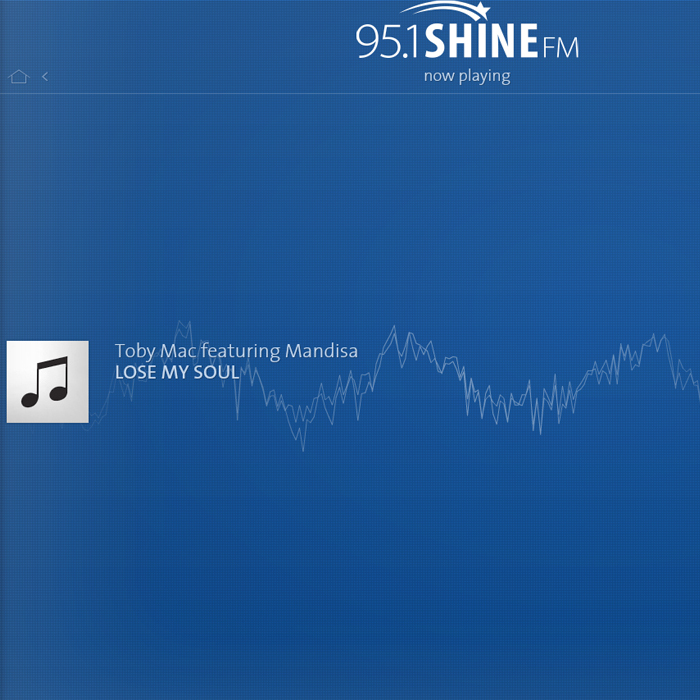 SHINE came to The A Group to do more than put its station on the internet, but to create a robust online community where its listeners could stream music, connect with the DJs, and get useful information for their lives. 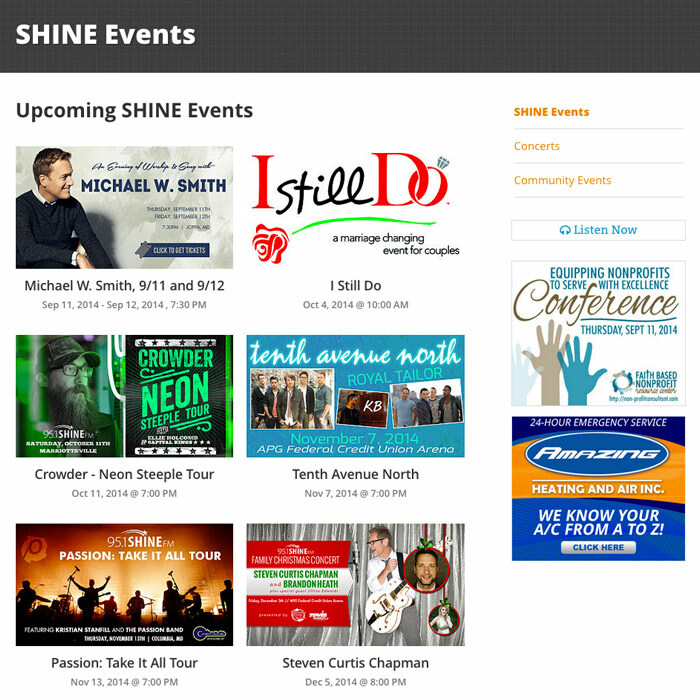 In order to build a comprehensive site, The A Group integrated multiple third-party APIs to stream the station live, list recently played songs, promote social sharing via AddThis, as well as permit staff to accept and validate listener-provided community events into their calendar. Dynamic blog and contesting modules allow the station to engage listeners in an active and ongoing manner - and keep visitors on the site. Also, as a commercial media outlet that is dependent upon sponsors, reporting is a major need. The A Group built an easily-managed sponsor module and embedded banner ad inventory into the site with accompanying impression and click-through reporting that allows the station to accurately provide results to its sponsors. The next time you're in Baltimore, tune in. Or better yet, stream them now from wherever you are in the world!